The vibrant whites and nuanced reds of the wind-swept island of Sardinia (Sardegna) are sunshine and sea breezes captured in a bottle. An earthy, mineral character, woven throughout their tapestry of aromas and flavors, lends a complexity to their high quality wines. Cannonau and Vermentino are the stars among the island’s indigenous varietals but international wine grapes are also found here. 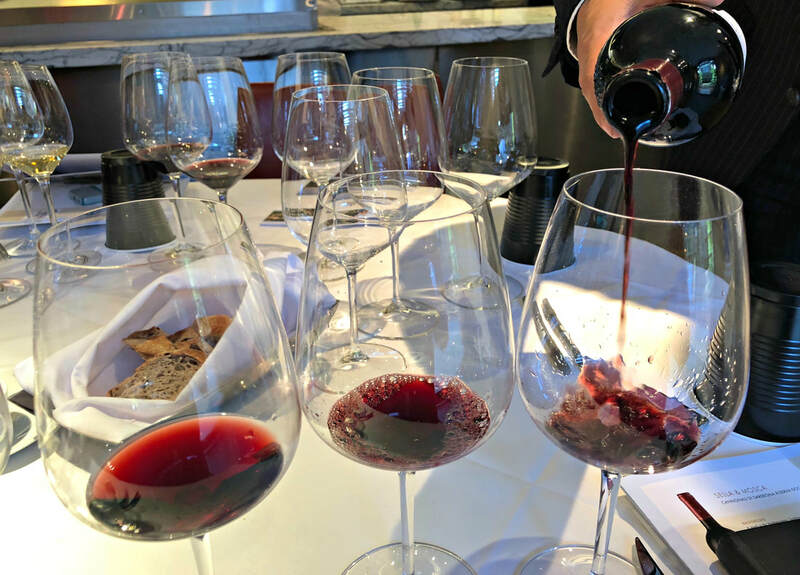 And rumor has it that the red wines of Sardinia, especially Cannonau, has two to three times the amount of flavonoids, those artery-cleansing compounds that combat cancer and heart disease. 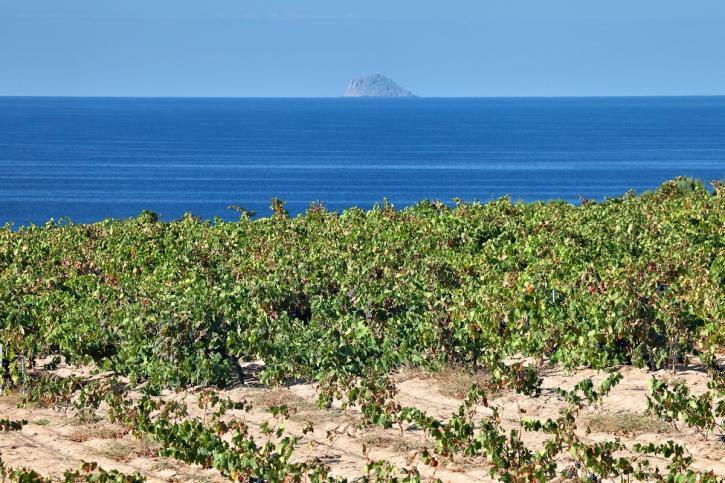 Many old vines are found on the island, along with many centenarians, as noted in the book, The Blue Zones, where a healthy lifestyle and moderate wine drinking is attributed to the many long-lived residents. The second largest island in the Mediterranean, Sardinia lies off the west coast of central Italy. 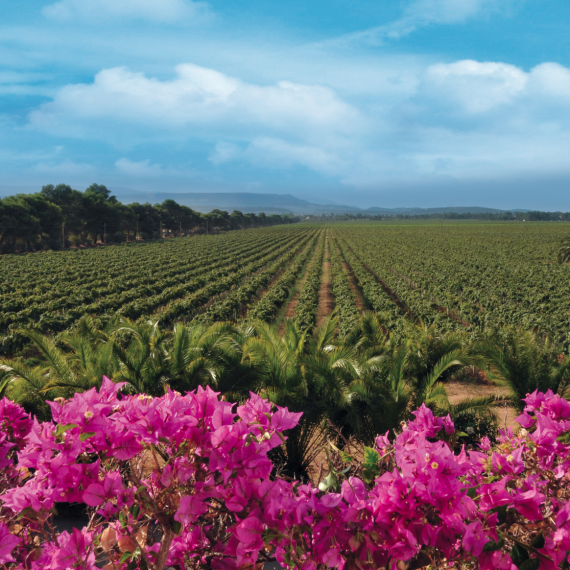 Although a tourist hot spot for many Europeans, the wines of Sardinia are relatively unknown to most wine drinkers. Sardinia has a long history of winemaking, by recent estimates, the first region in Europe to grow and make wine, over 6,000 years ago. The geography and climate are very similar to Southern France, rocky mountain soils of granite and limestone, dotted with Mediterranean scrub, make up the interior of the island, with a hot and dry climate, buffeted by sea breezes. Many vineyards are small, leading to several cooperative-based wines, but Sella & Mosca is one of the largest estates in Europe, with over 1,200 acres of organic vines nestled between the sea and the mountains. Founded in 1899, Sella & Mosca is the largest and most acclaimed producer in Sardinia, and crafts premium wines from estate-grown grapes. 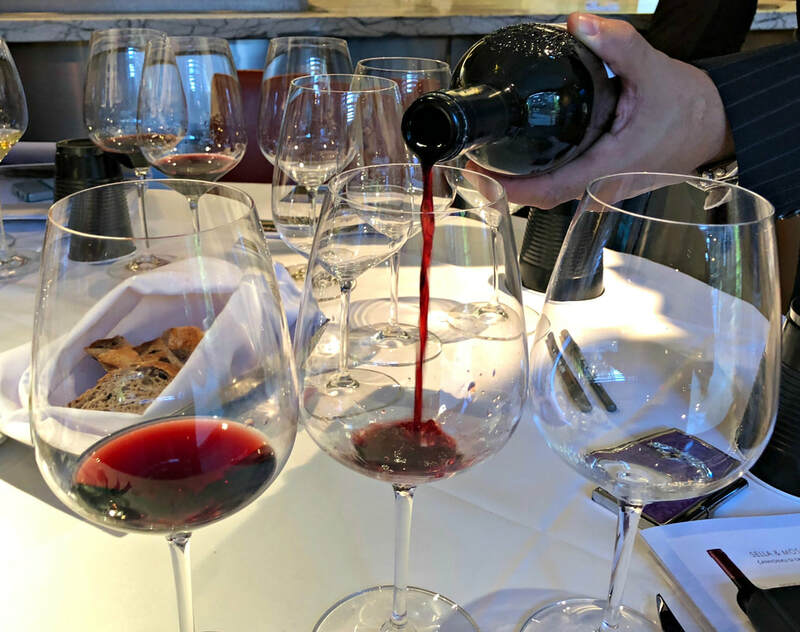 In addition to the native varietals of Vermentino, Torbato, and Cannonau, they make wines from Cabernet Sauvignon, a left-over from the late 1800’s, when Sardinia provided phylloxera-free root stocks for Europe to replant their vineyards. 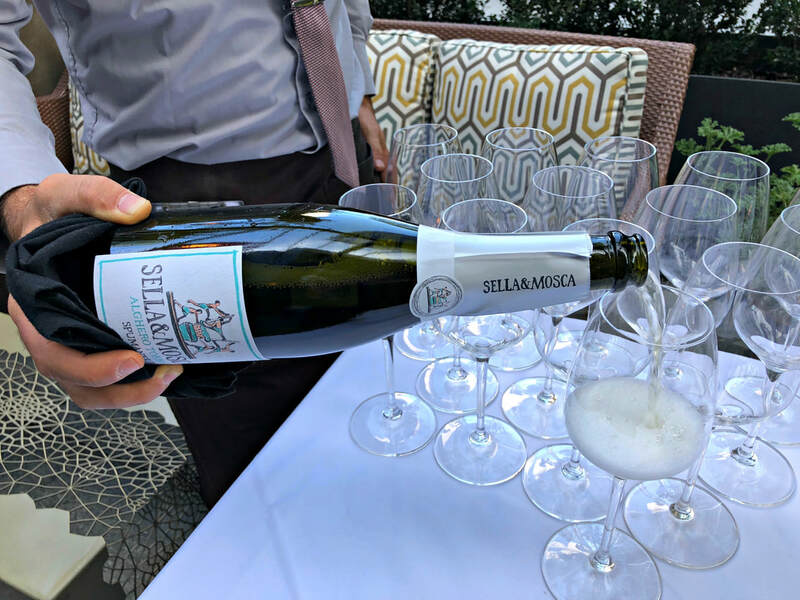 In all, Sella & Mosca makes over 15 wines, from crisp sparklers, bright whites, a rosato, elegant reds, and a sweet or passito wine. 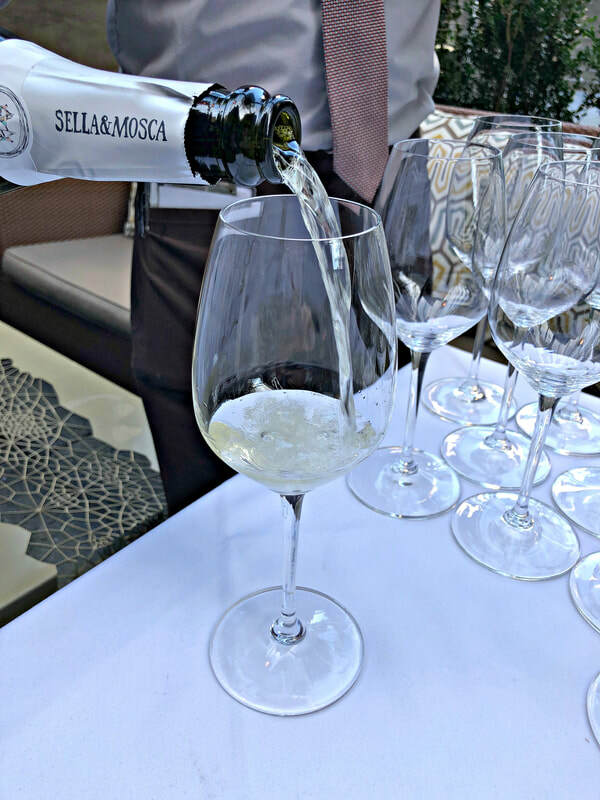 Sella & Mosca introduced seven wines to wine professionals at a recent Drago Centro luncheon in Los Angeles. Winemaker Giovanni Pinna greeted attendees with a glass of sparkling Torbato, whose uniquely fascinating floral and saline bouquet gave way to a refreshingly delicate, mineral wine with yeasty notes. 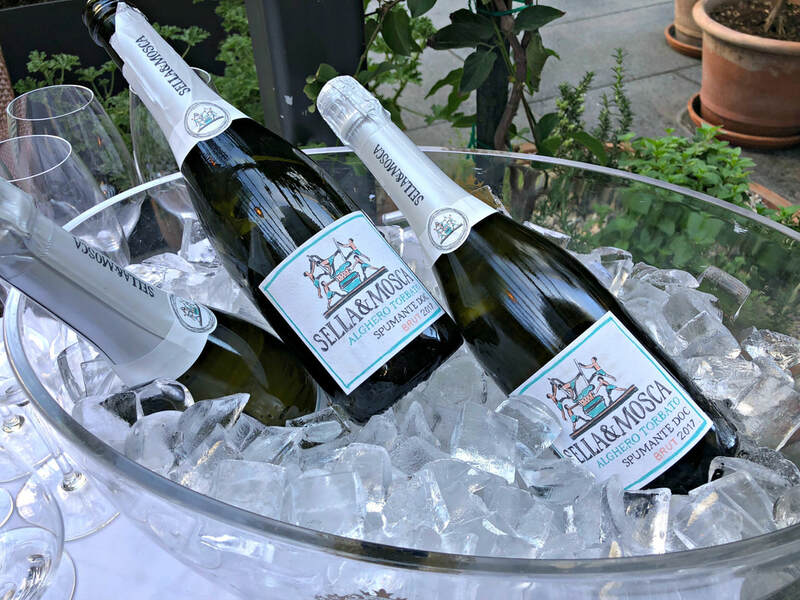 Made in the Charmat method, 2017 is the very first vintage, and the Sella & Mosca Alghero Torbato Spumante Brut DOC hasn’t yet been released into the market, but it’s certainly something to look forward to! Two white wines started off the lunch, a Sauvignon Blanc and Vermentino. 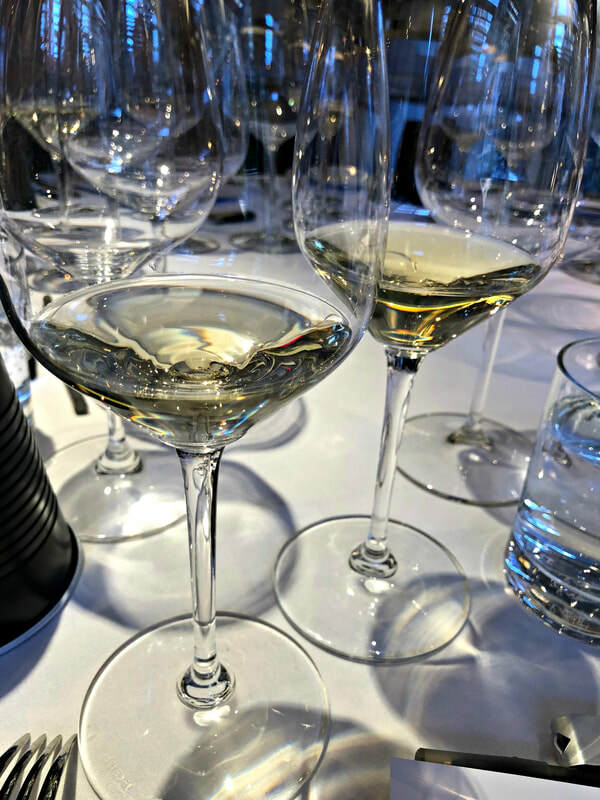 The Sella & Mosca Le Arenarie Alghero DOC 2017 is smooth and elegant, a round, floral wine with the intensity of skin-contact fruit, refreshing without the harsher edges of high acid Sauvignon Blancs from different corners of the world. 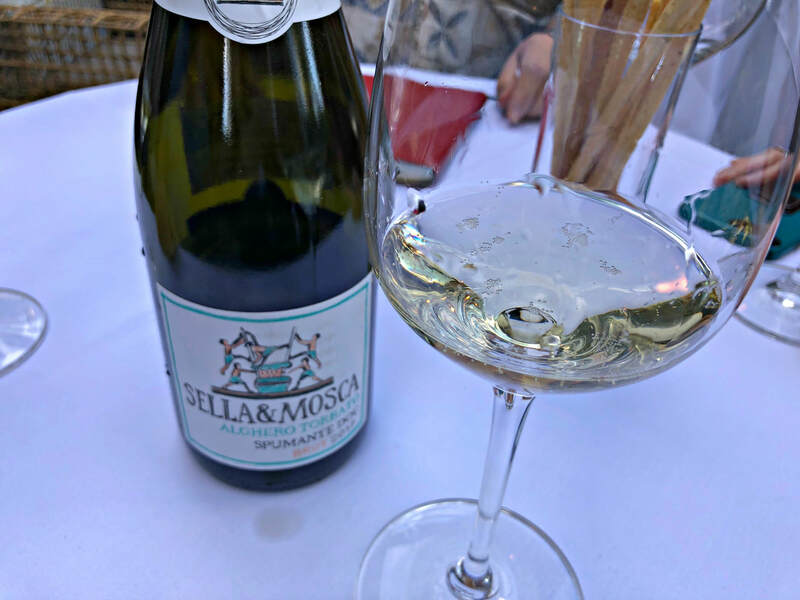 The Sella & Mosca Monteoro Vermentino di Gallura Superiore DOCG 2016 is bright, with intensely flavorful notes of green apple, citrus, and ripe pear. Vermentino di Gallura is Sardegna’s only DOCG wine, and 75% of Italy’s total Vermentino production comes from the island. These whites were perfect with the seafood dishes, the scallops and Vermentino certainly a match made in heaven! The Sella & Mosca Cannonau di Sardegna Riserva 2015 is elegant and aromatic, juicy with bright red fruit, plum, spice and herbal notes, vibrant and fresh, mildly tannic with an undercurrant of earth and scrub. Cannonau is related to the Grenache family, although recent DNA tests might point to it not being the same grape. Higher in alcohol and lower in acidity, this wine is so balanced, it literally dances on your palate. Fabulous by the glass, and such a good dinner companion, it pairs with a diverse range of food. The Sella & Mosca Tanca Farrà Alghero DOC 2014, a 50/50 blend of Cannonau and Cabernet Sauvignon, is smooth and full-bodied, with dark fruit, spice and herbal notes. Tanca Farrà translates to “Iron Earth” and that seems to come through on the finish, adding to the complexity and depth of the wine. The Sella & Mosca Marchese di Villamarina Alghero DOC 2010, 100% Cabernet Sauvignon, is a layered and structured wine, with black fruit, licorice and baking spice notes. It’s refined and elegant, well balanced and still so fresh. Well-priced and full of flavor, the Sardinian wines of Sella & Mosca are excellent values and perfect for the dinner table and all your holiday entertaining needs.